We read the below article by The Spectrum - The Independent Student Publication of the University at Buffalo - about Religious Solicitation on UB campus and we felt the need to write about this topic again. We have received many past complaints from people in many different cities about the groups World Mission Society Church of God, and the Church of Jesus Christ of Latter-day Saints both of which mentioned in the article as soliciting on UB Campus. Religious solicitation and predatory group activity is a huge problem on and around college campuses and they purposely target vulnerable, impressionable, unsuspecting young minds. Students, faculty and parents need more information about these topics so they can make informed, educated decisions about the groups and associations they consider getting involved with. 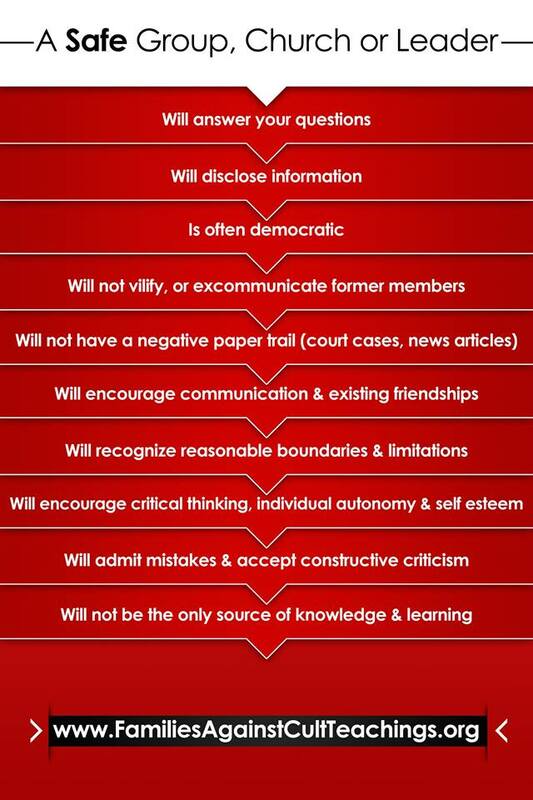 Information to Critically Think with. Our website (which is in the process of being overhauled and updated) provides much of our materials in pdf format, but we also have printed handouts and brochures free to students, parents etc. Here is the link where you can print and share some of these materials. 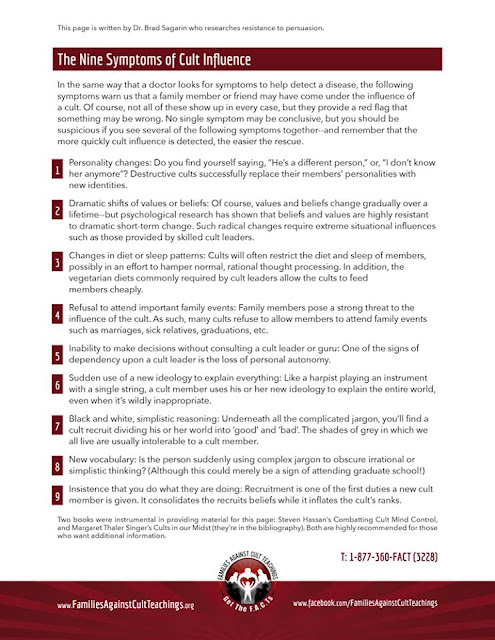 Here are some of the red flags to be aware of when being approached by groups and or individuals. We are here to help educate and empower any way we can. One of the many complaints we've received recently. 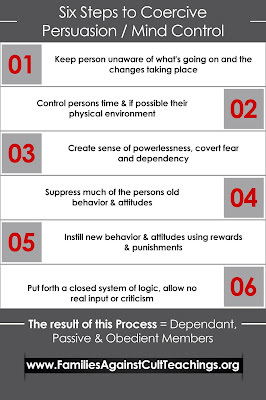 Please describe the cult activity: they use every brainwashing technique, fear guilt and pressure from family and they popped my wifes tires and disabled her car when she tried to leave . Involvement with group: If yes, please explain. 1) When did you/they get involved & for how long? 2) How did you/they get involved? How were you/they directly recruited? 3) Are there other family members involved? 4) Has their been a disconnection of relationship(s) with family, old friends? 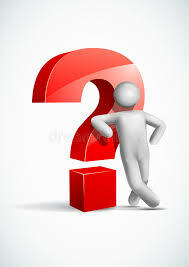 5) What are the circumstances currently? 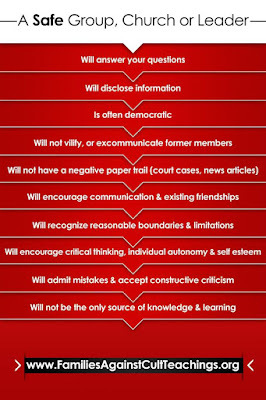 Is there anything else that we should know or you would like to tell us: I have done research and found some things that have not yet been reported and how they scrypt and trick people to go down a path they subjects think they chose"
If you have any direct experience with this group, feel free to share with us. 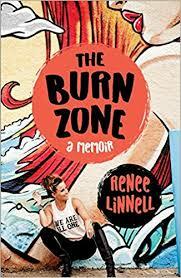 Renee Linnell, Author of "The Burn Zone: A Memoir, opens up about her time and experience in a cult and her thoughts about it all. Thanks for sharing this with us Renee and we hope to catch up with you soon for an interview chat. Many people who are caught up in high control, high demand groups and or relations are often conditioned to not question things. Always be wary of anyone who tries to prevent you from questioning. 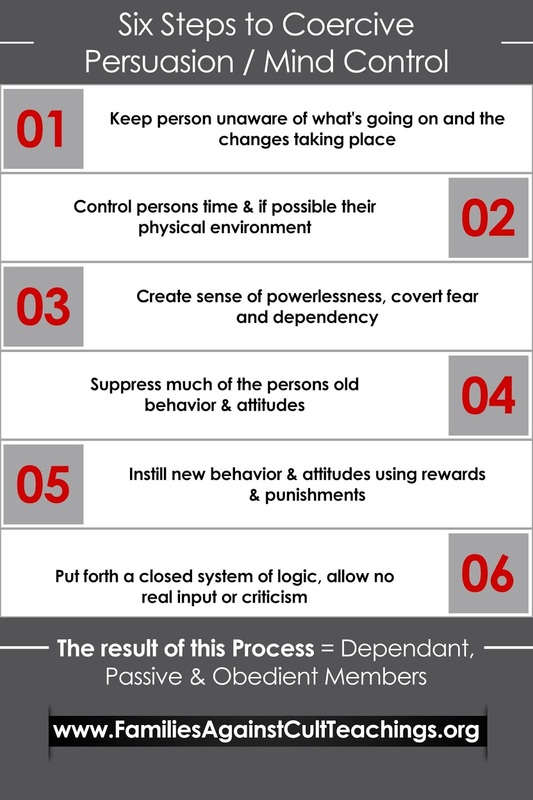 Protect your freedom and autonomy. 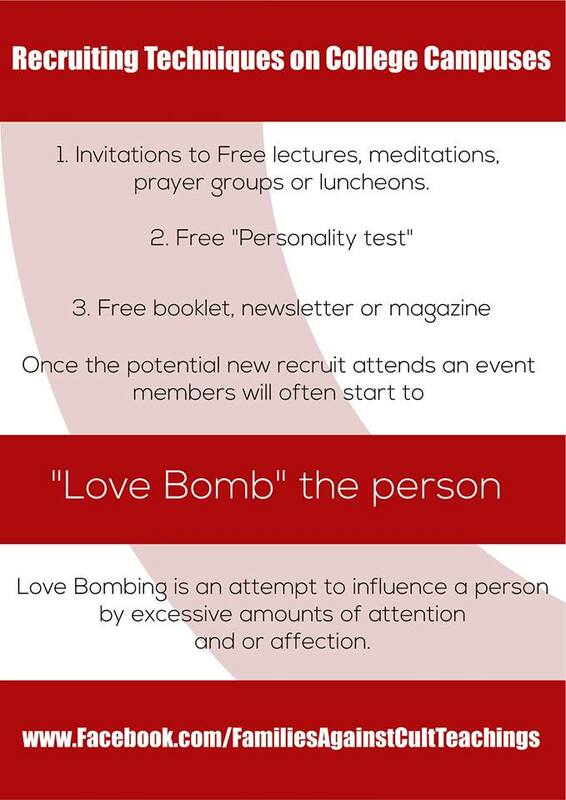 Learn to recognize common recruitment tactics and situations. People who demand secrecy from you. People who make you feel like there’s something wrong with you if you’re not interested in joining. People who try to play on your guilt; you don’t always have to reciprocate a kindness, especially when it may have been a way to manipulate you. People who are vague or evasive. If they are hiding something, it’s usually because they don’t want you to know the real answer. People who claim to be just like you, so you feel you have a lot in common. People who confidently promise that they can help you solve your problems, especially when they know little about you. People, who make grand claims about how their group can save mankind, help you achieve enlightenment or show the road to happiness. People who claim they or their group is really special, even the most special. People who promise quick solutions to difficult problems. People who put down reason and critical thinking, and tell you not to ask questions about the group – just open your mind to it.